In this eBook, you're going to discover 101 of the best things to do when you're in Bangkok, so you make the most of your visit. 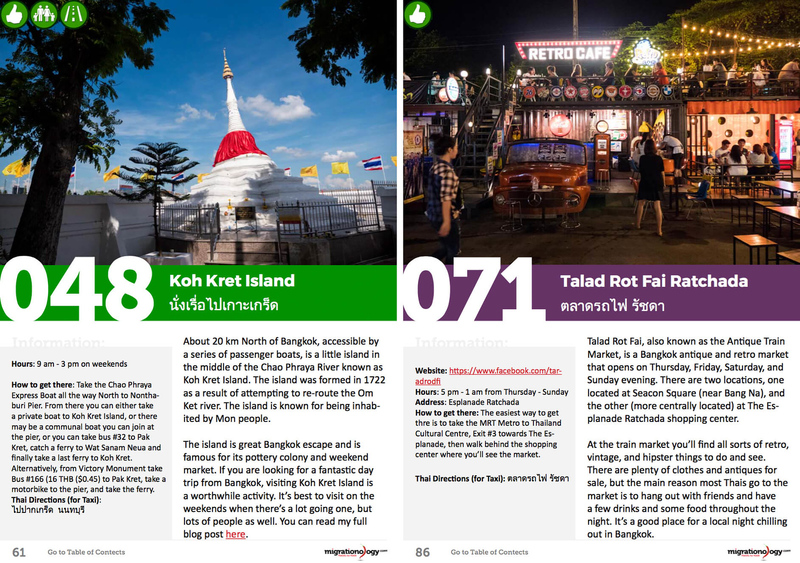 This Bangkok guide also includes useful travel information like where to stay, how to get around, and helpful safety tips. 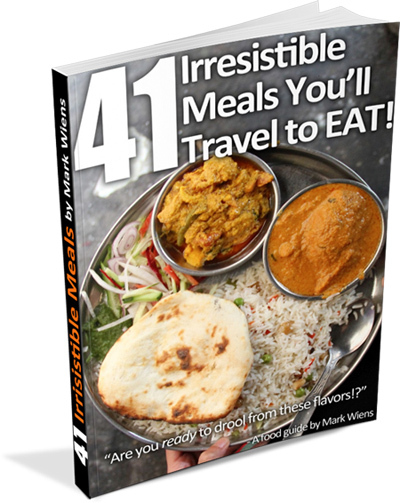 A few of the main categories included in this 170 page eBook. 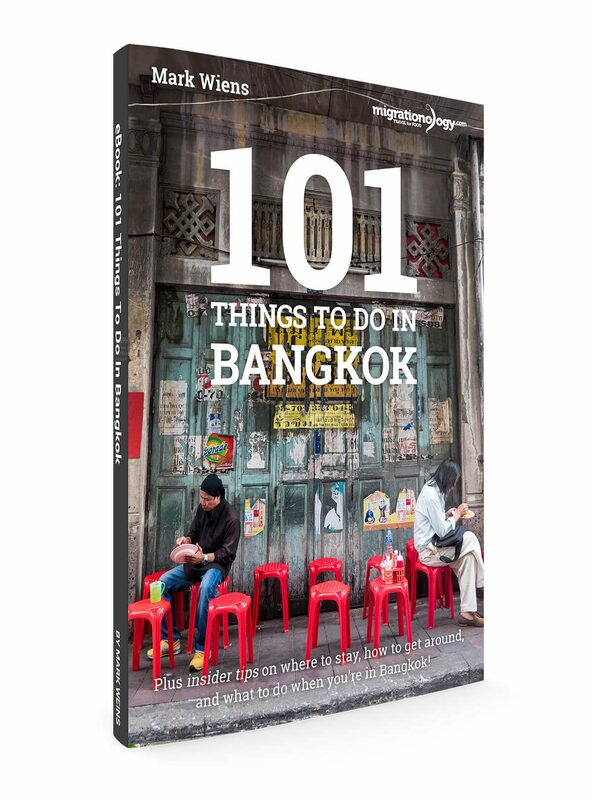 101 Things To Do – Including a mixture of famous attractions and off-the-beaten path attractions, I’ve gone through hundreds of things to do in Bangkok and chosen a list of 101 attractions that I truly think represent the city. 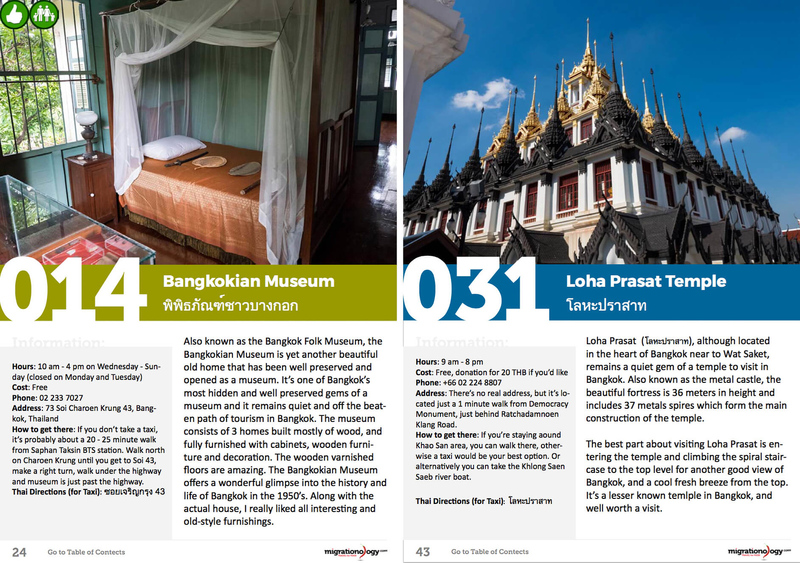 Bangkok Travel Itineraries – Do you just have a couple days in Bangkok? Within the guide you’ll find some useful day itineraries for things to do. 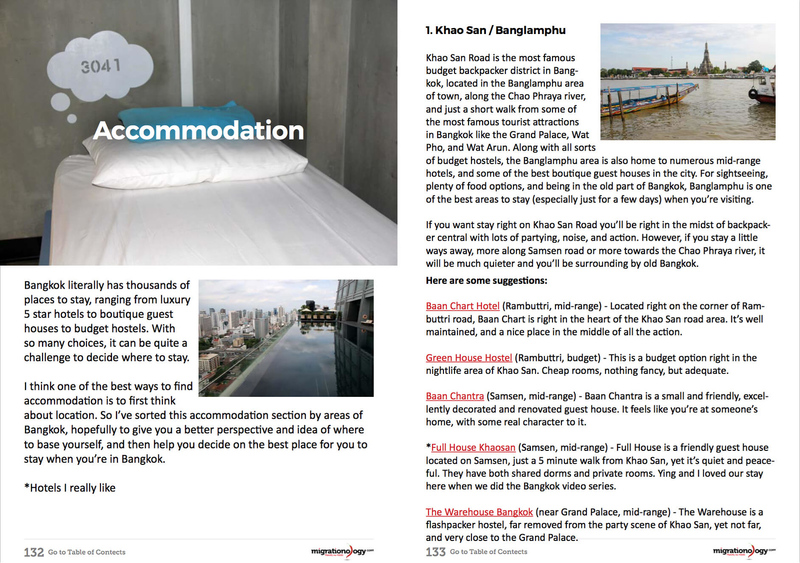 Accommodation – There are thousands of hotels in Bangkok. In this section I share some of my personal recommendations for places to stay, and also the best areas of town to stay in, depending on what your interests are. Transportation – Bangkok is a big city with many transportation options. In this section you’ll learn how to get around the easiest. 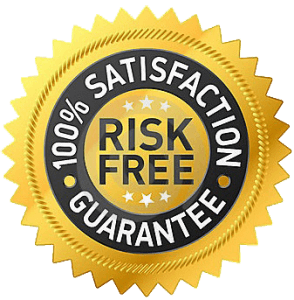 Safety Information – Bangkok is overall a very safe city to visit, but like in any major city, it’s important to still take safety precautions when you visit. You’ll learn some of my main safety tips from transportation, to visiting attractions, to eating street food. Current information about attractions including open hours, prices, and tips. Directions written in Thai script, so you can communicate with taxi drivers or ask for directions in Thai. 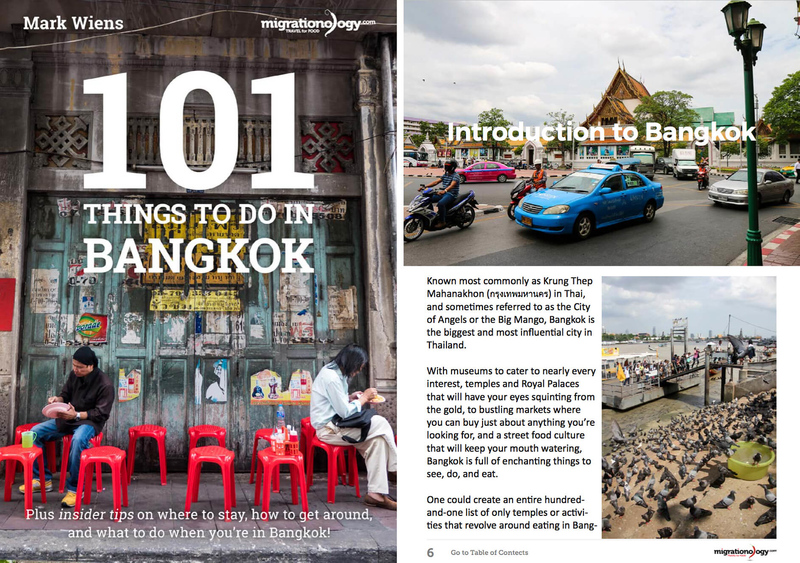 The eBook: 101 Things To Do In Bangkok will help you make the most of your time in Bangkok! I want to make it clear that this is NOT a printed book, but it’s a digital eBook in PDF format. You can easily read it from your computer or mobile device (tablet or phone). Instant Download – As soon as you purchase, you’ll receive an e-mail with a link to immediately download the guide. You can be reading it instantly without waiting for shipping. Mobile Devices – As a traveler, it’s always good to reduce weight and sizes (and it makes traveling much easier). You can load this eBook onto your computer, tablet, or mobile device, and access and read it while on the go. 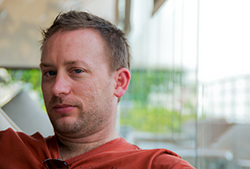 Up-to-Date Information – Bangkok is a city that changes fast. Printed books fall way behind. But for this eBook, when a price changes or when something shuts down, I’m able to instantly update it and re-upload the new information, so it stays up-to-date all the time.